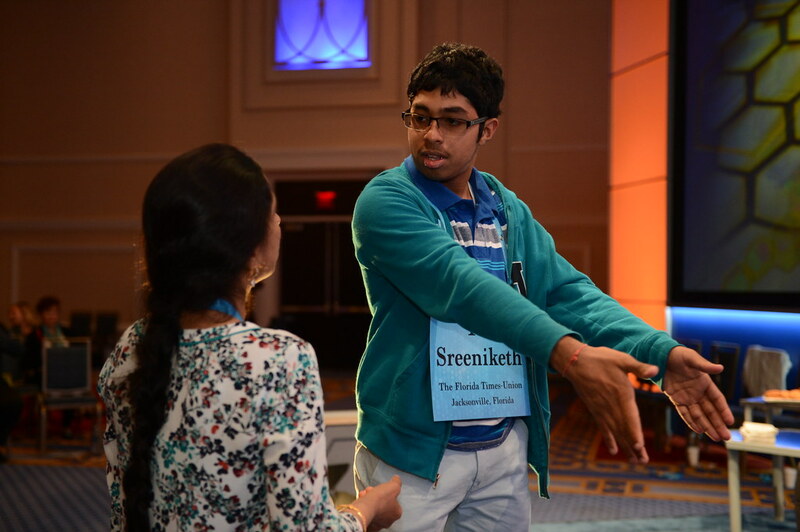 Sreeniketh Vogoti, speller 167 is a Florida eighth grader. He said he tries not to think of anything that makes him nervous – a good strategy. Sreeniketh is a fan of Rafael Nadal and Hank and John Green. Last year, he tied for seventh place.